As one of the world’s main pollinators, bees are indispensible for thriving gardens. Some crops, such as almonds, apples, and avocados, rely entirely or almost entirely on the honeybee pollination. Other crops would be greatly reduced without the presence of bees. 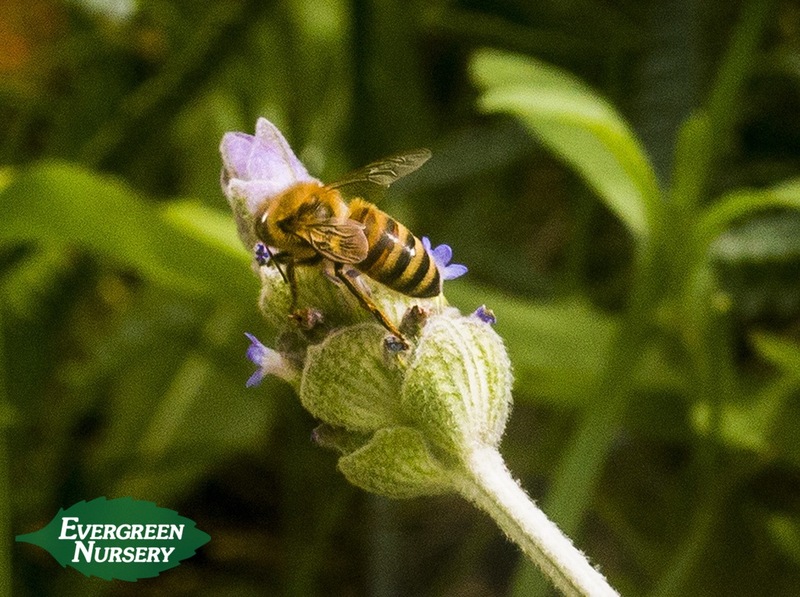 Be sure to invite bees into your garden by planting the right types of flowers to provide them with the nutrition they need. The more of an abundance of nectar and pollen rich plants we can provide, the more we contribute to the success of our food crops. 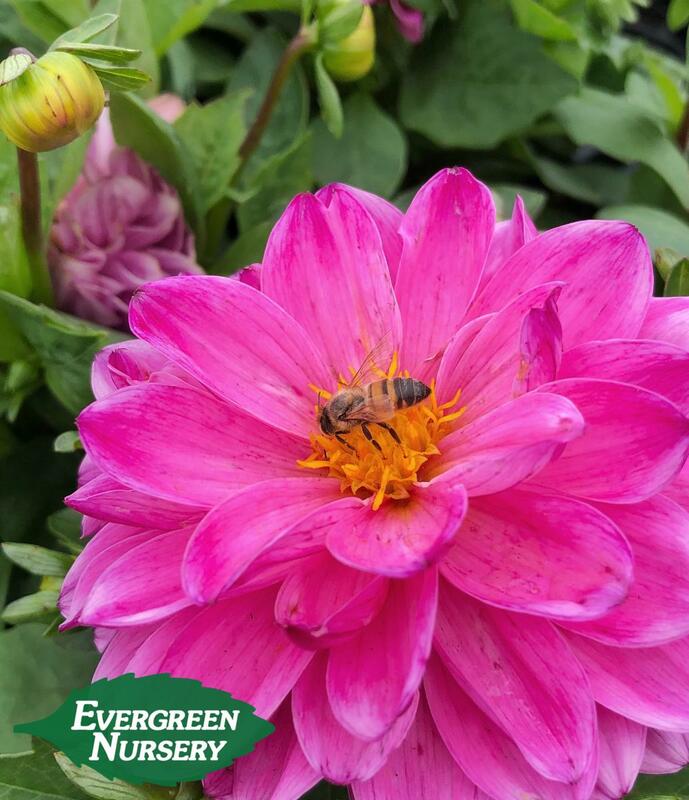 For Southern California gardens, a few excellent choices you can find here at Evergreen Nursery that will help provide a blooming oasis for the local bee population are: dahlias, cosmos, marigolds, lavender, salvia, dianthus, sea pinks, and wildflower mixes. Herbs such as rosemary, thyme and sage are also great choices. Bees are particularly attracted to the colors blue, white, and yellow, especially when planted in big blocks of a single color. As an added bonus, more bee-friendly plantings will also attract beautiful butterflies and hummingbirds into your yard! You may want to keep bees away from certain areas, so a good strategy would be to keep bee friendly plantings on the perimeter of your yard. This will help keep them happy at safe distances from patios and children’s play areas. While there are really no plants known to repel bees, some plant essential oils like mint, citronella, and eucalyptus are helpful in discouraging them from invading your recreation areas. On your next visit to Evergreen, you’re likely to be assisted in your selection by some of the little striped garden helpers themselves. Just follow the pleasant humming sounds and let the bees guide you to their favorite blooms!